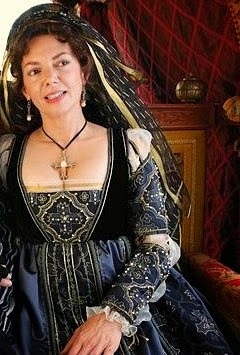 A while back, I posted about my dream to sew a dress based off of the costumes in the show The Borgias and it's going to happen! I spent a lot of time researching and looking for fabrics and such and I found some stuff out. The first thing I needed to know was how period accurate were the costumes. They were gorgeous but costumes on film (especially on tv shows) have a tendency to be rather unperiod. And these are no exception. Actually 1490s garments- note the curved bust, center front lacing and over gowns they are all wearing. The Borgias dress- straight front, side or back lacing, and no over gown. But they do get points for period appropriate prints, chemises and period appropriate hair. So even though they are not 100% period, they are gorgeous and they aren't that far off from what would have actually been worn (especially when compared to some other "period" tv shows that have come out lately). And I love them so I'm going to make one. Plus I'm feeling in the mood for a pretty pretty dress. 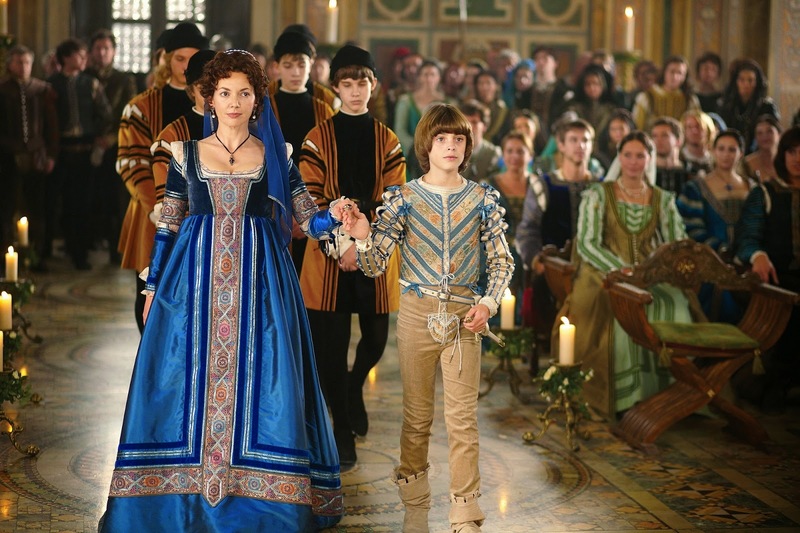 Despite being set in France, the costumes in the movie Ever After are also based off of this period also and it's one of my favorite movies. So double score. Originally, I was really inspired by this dress that Vanozza, the mom, wore. I really loved her outfits because they were higher cut and lower waisted than most of Lucrezia's more fashionable dresses. Being a chesty gal, I needed some space so I wouldn't be popping out everywhere. But I ended up deciding on this dress, but in purple since I'd already fallen in love with some pretty purple fabric researching the other dress. And it will be silk because I want to sew the pretty things! 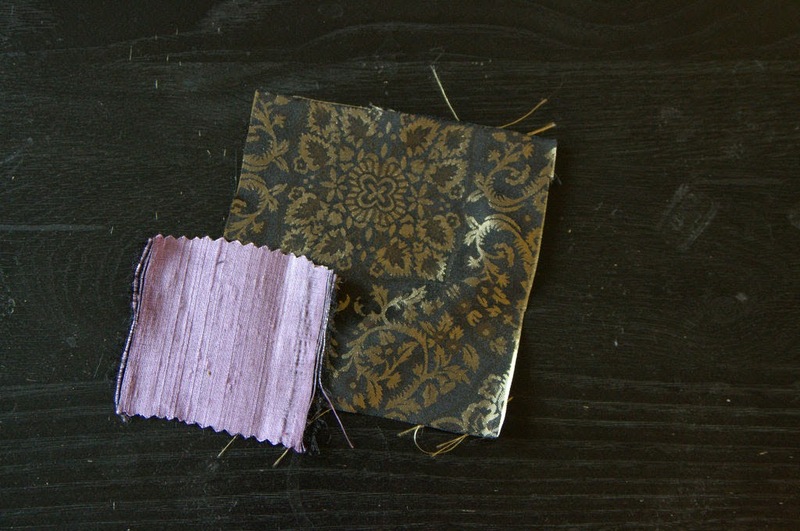 On the left, purple silk doupioni and on the right, black and gold silk damask. Most of the gown will be the doupioni and the contrast trim will be the damask. I also snagged a gorgeous dark purple silk blend velvet for the bodice. Of course, the first step in a new period is period appropriate under garments so it'll be a while before I can start working with the silk. (So I'll just pet it for now....) The corset is mostly done and the chemise is up next on my list. Thankfully, I can do a pretty period accurate shift for this dress so I can use it for other more historically accurate dresses. To be honest, I have never done serious historical costuming and I haven't researched this period in particular. However, be aware, when doing your research that Europe can't be taken as a whole when it comes to fashion in the late 15th century. For the countries in the north and west, that were the late Middle Ages, for Italy, the Renaissance had well and truly begun. And that shows not just in art but also in fashion. So, you don't want to take sources from other parts of Europe as a information on what is period accurate for 1490's Rome. A) I love Ever After. SO GOOD. 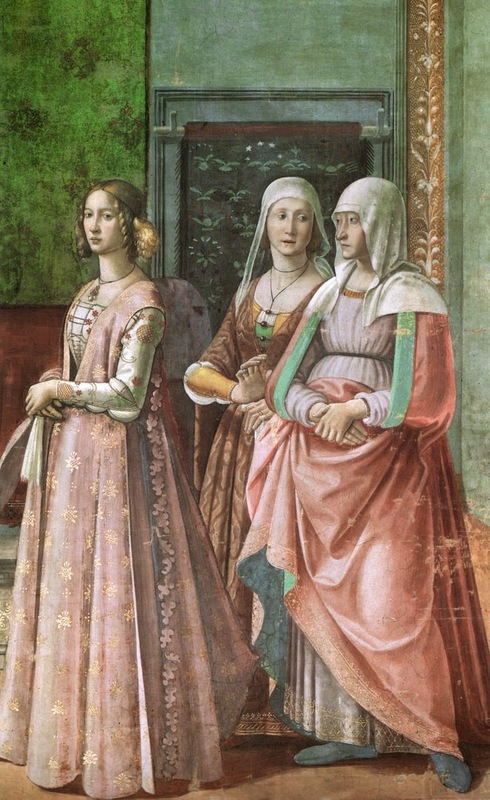 B) That Ghirlandaio painting (Annunciation of the Virgin I believe, in the Santa Maria Novella in Florence) is one of the inspirations for my SCA persona, so I am looking forward to seeing more of your research and construction! Also, if you're going to do a full event with this, look into "Hair Taping" -- it's dead simple, period, LASTS ALL DAY, and is incredibly easy to add fake hair into it. I wore my hair taped one Pennsic and it lasted for days and days, sleeping in it, and running around in that godsawful heat. I too am in love with the Borgias! I'd love to make a repro gown, probably one of Lucretia's red or aqua ones since I'm a blond too and those are good colors on me. Looking forward to seeing this come together!